In the East Bay region of California is the city of Hayward. It’s part of Alameda County and is the sixth largest city in the Bay Area with a population nearing 160,000. 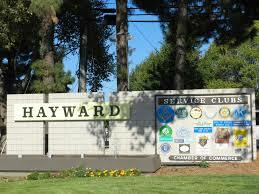 Hayward is positioned right between Union City and Castro Valley and is spread over 64 square miles. In 1868, the city of Hayward was heavily damaged by an earthquake of its own namesake – the Hayward earthquake. Nearly every building was destroyed or damaged in the quake that measured up to 7.0 on the Richter scale. Hayward residents were resilient and rebuilt after the quake and have prospered since. Until the 1980s, Hayward’s economy relied heavily on the canning industry from Hunt’s Brothers Cannery. Everything from tomatoes to peaches and apricots were preserved there until the cannery closed in 1981. Other major companies moved in including PepsiCo and Shasta bottling companies, Impax Laboratories, and other high-tech companies. Wright’s Automotive Service is happy to be the top choice of Hayward residents for reliable auto repairs and service. Since 1977, our capable and dependable staff members have performed precision auto repairs and service on all makes and models while demonstrating the best in customer service. We are heavily involved in our community and love to give back when needs arise. We are conveniently located just five miles northwest of Hayward in San Leandro on Fargo Avenue.